He has been a consultant for the US, EU, UN, and several G20 governments. His 4-point plan presented to the Acting President of South Korea passed the Korean Parliament and became the core of that nation’s 1998 economic stimulus legislation, which helped it emerge from the greatest Asian economic crisis since World War II. As part of the plan, Dr. Jeynes asserted that South Korea should build a high-tech city (which he termed Korea’s Brasilia), which continues to be built and is called Songdo. South Korea grew out of the crisis faster than any other Asian nation with a GDP increase of 22% over the period of the next two years. He also changed the minds of the South Korean leaders by having them direct most of the stimulus package toward the poorer sections of South Korea, rather than toward wealthy corporations. He believed that this would serve the dual purposes of showing love and providing a stronger stimulus to the economy. Dr. Jeynes has been interviewed or quoted by the Washington Post, the Los Angeles Times, the New York Times, the Wall Street Journal, the London Times, the Associated Press (AP), CBS, ABC, NBC, FOX, Al Jazeera, US News & World Report, Newsweek Japan, and many other media outlets. His work has been cited and quoted numerous times by the U.S. Congress, the British Parliament, the EU, and many State Supreme Courts across the United States. 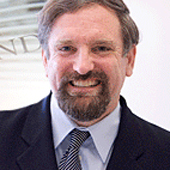 Dr. Jeynes has worked with and spoken for the Harvard Family Research Project. He received the “Distinguished Scholar Award” from his present university, the California State Senate, and the California State Assembly. He was given the “Distinguished Achievement Award” from an arm of the American Educational Research Association. He is also a Senior Fellow for the Witherspoon Institute in Princeton, New Jersey. Dr. Jeynes wrote the #1 and #2 all-time most cited articles in the over half century history of the journal Urban Education. He also wrote the #1 all-time most cited article in the 50 year history of the journal Education & Urban Society. He periodically writes columns in the Orange County Register, the nation’s 14th largest newspaper. Dr. Jeynes also gained admission in Who’s Who in the World for the last 10 consecutive years.